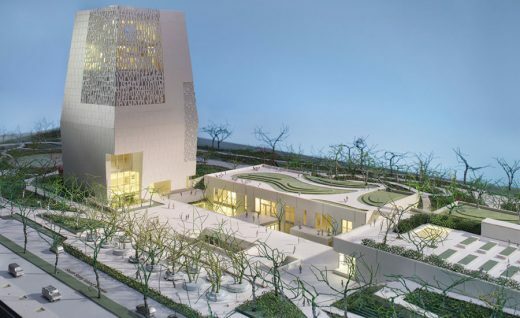 The Obama Foundation recently released new renderings of the Obama Presidential Center planned for a site in Jackson Park on Chicago’s South Side. The drawings show subtle but significant revisions to the design by TWBTA with IDEA. 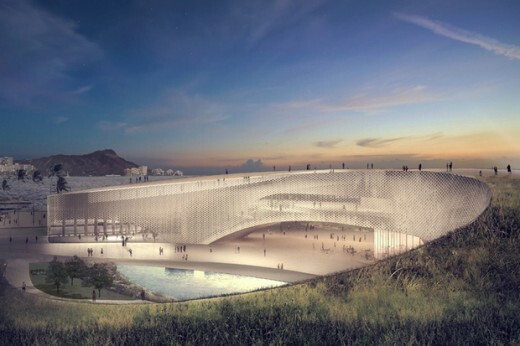 The scheme remains a trio of stone-clad buildings—museum, forum, and library—connected below grade and arranged around a plaza. The low-slung library and forum, largely concealed by regraded topography and lushly planted roof terraces, look mostly unchanged. The design of the plaza has become a bit more complex, with additional courtyards to provide more greenery and shaded outdoor spaces. The museum’s canted tower has evolved more substantially, partly in response to criticism from local residents and other stakeholders that it was too big. The architects’ solution has been to decrease its footprint but make it taller. The height has increased from 178 to 235 feet, making for leaner and more elegant proportions. The architects have enlarged and added windows in the stone-clad building to increase its transparency. A 100-foot-tall window now appears on the north elevation. The southeast and southwest corners now have filigree screens of stone letters, through which light should emanate at night to creat a dramatic glow. Thankfully the above-ground parking facility on the Midway (adjacent public park) has been scrapped in favor of a discreet on-site underground garage. The $300 million contract to the Lakeside Alliance, a collective of five local construction companies. 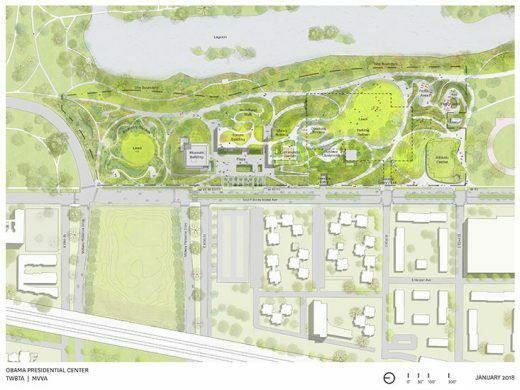 On July 27, 2016 reports emerged that President Barack Obama and Michelle Obama have selected Jackson Park on the city’s south side as the future home for the Obama Presidential Center, instead of Washington Park. Jackson Park is a 500-acre (2 km²) park on Chicago’s South Side, located at 6401 South Stony Island Avenue in the Woodlawn community area. It borders Lake Michigan and several South Side neighborhoods. 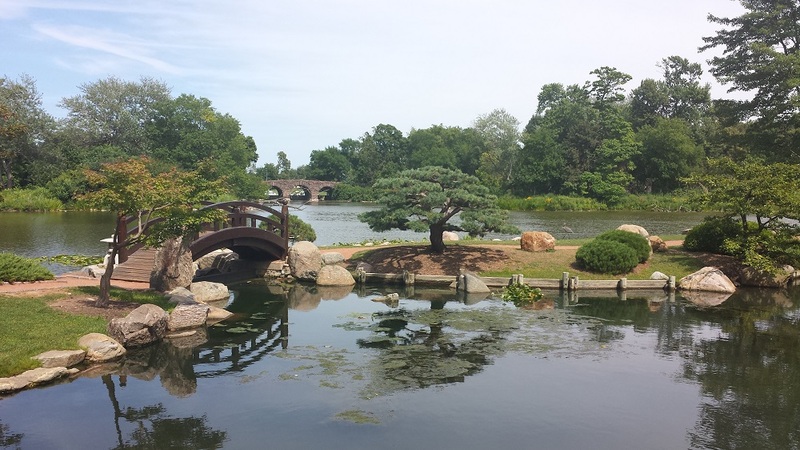 The parkland was first developed as the host site of the Chicago World’s Fair in 1893. 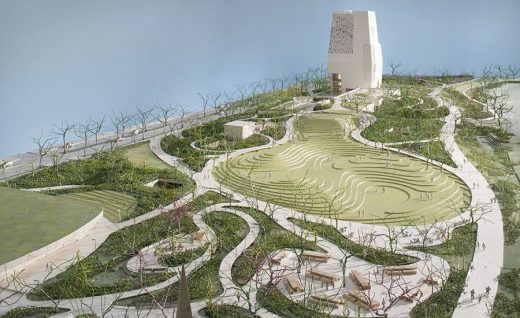 The Obama Foundation announced in Jun 30, 2016 that they had selected Tod Williams Billie Tsien Architects | Partners to lead the design team for the Obama Presidential Center in Chicago, and Interactive Design Architects to be their partner. TWBTA stood out in their commitment to explore the best ways of creating an innovative center for action that inspires. Notable works include the Logan Center for the Arts, University of Chicago, Chicago, IL; The Barnes Foundation, Philadelphia, PA; LeFrak Center at Lakeside, Brooklyn, NY; Center for the Advancement of Public Action, Bennington College, Bennington, VT. IDEA brings local knowledge and a track record for delivering excellence to large, complex civic projects. Notable works include the Eckhardt Center FF&E, University of Chicago, Chicago, IL; A.J. Celebrezze Federal Building Facade Recladding, General Services Administration, Cleveland, OH; Anti-Cruelty Society Facade Recladding, Chicago, IL. The Obama Foundation have announced the landscape architecture team for the Obama Presidential Center (OPC). 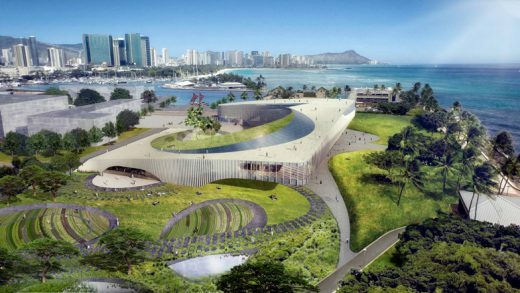 Working with the OPC’s previously announced architects, Tod Williams Billie Tsien Architects and InterActive Design Architects, a team comprised of Michael Van Valkenburgh Associates (MVVA), Site Design Group, and Living Habitats will serve as the project’s landscape architects. 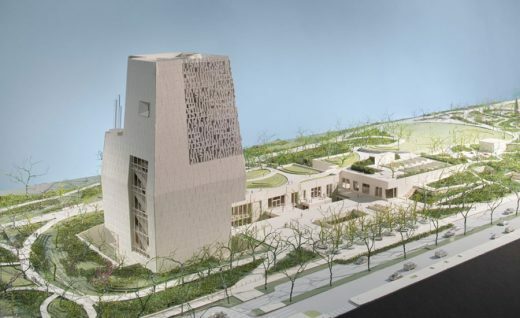 The Barack Obama Foundation released a Request for Qualifications (RFQ) soliciting submissions from firms interested in providing architectural design services for the Obama Presidential Center (OPC).